Every once in a while a piece of pistachio just leaps off the shelf and yells "pick me, pick me!" 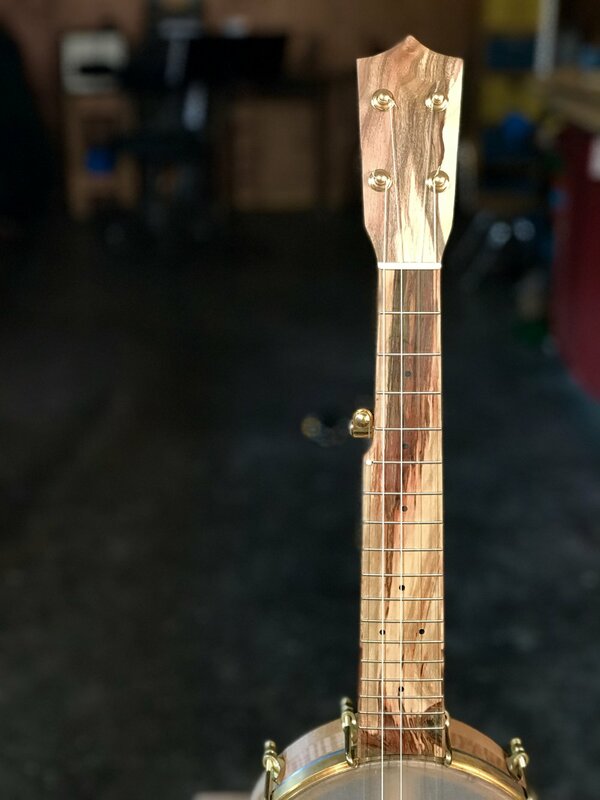 I have never seen a fretboard like this one and don't expect I ever will. 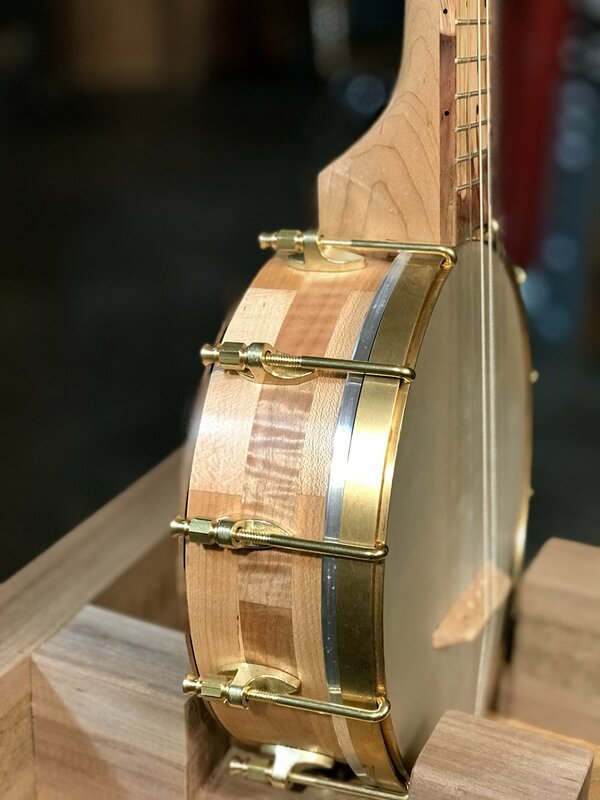 I paired it with a subtle bird's eye maple neck and a rim made of three different boards of maple for a unique look. All of the maple comes from the Carpenter Ant stash in Portland, the Pistachio comes from California Orchards. 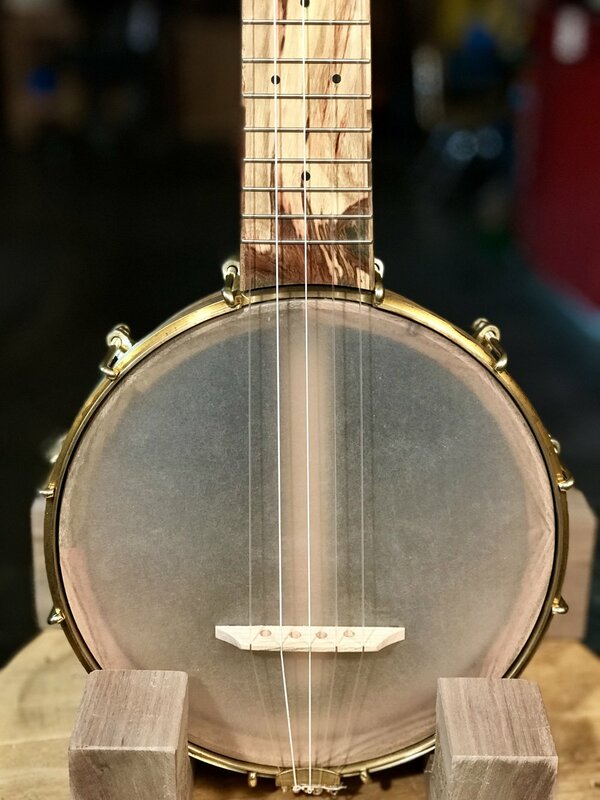 The customer wanted this in the standard banjo tuning, so I put heavier gauge strings on it and tuned it down to gdgbd. 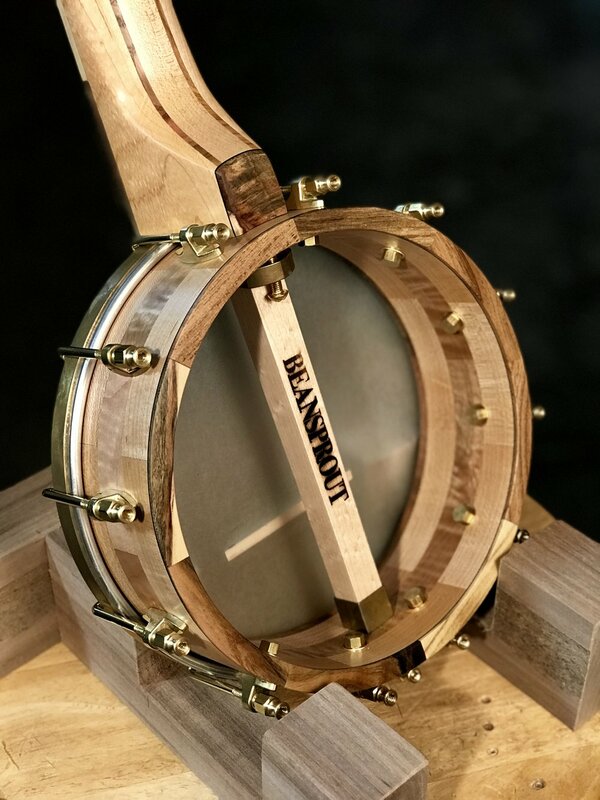 Even with the short scale, this tuning works although it is a pretty mellow sound, which is why some folks seem to like it. 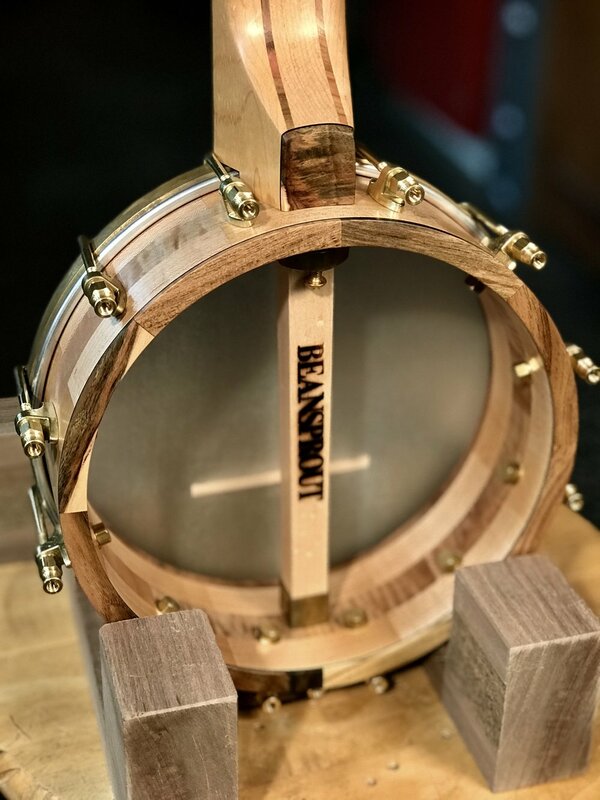 Either way, this one is ready to head to Colorado and make some music!